Funded by Synthetic Aesthetics, A project run by the University of Edinburgh and Stanford brings together synthetic biologists and designers to explore new future concepts. An extreme probiotic drink that relies on bacteria to morph into a physical, cup when exposed to a specific light wavelength. During shipping and storage, these light-molded cups remain alive but dormant until water is poured inside, creating an effervescent, healthy drink. 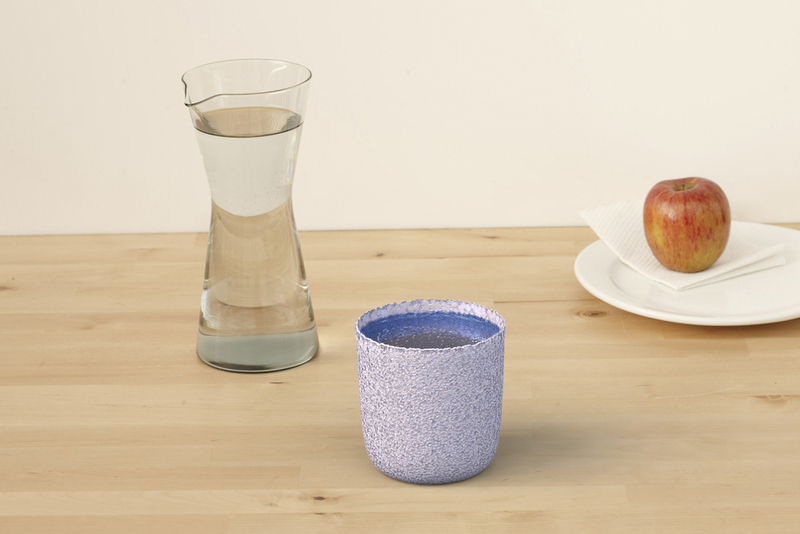 After several uses, the cup’s walls begin to degrade and it can be composted. A personalized skin care product secreted by a living microbial culture housed in a vessel. This engineered organism lives off the cotton balls that are used to apply it to the skin and produces fragrance, soap, oil molecules, and vitamins, in a combination most appropriate for the individual’s unique skin.